KitchenArt Measuring Butter Knife measures stick and cubed butter in increments of cups, teaspoons and tablespoons. 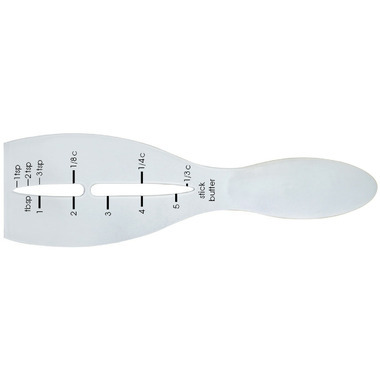 Great little tool to get accurate measurements of butter for many recipes. So much easier than using a measuring spoon.